The Omega Speedmaster collection was originally designed for racing and other sports which is why there’s a chronograph featured in the timepieces. However, it’s more known for its contribution to space travel. Back in the 1960s, NASA was looking for a wristwatch with chronograph that can function perfectly even when brought to outer space. Several renowned brands submitted their products for testing but only the Omega Speedmaster passed the rigorous exam. It was then certified and declared good for operational use in space explorations. When Neil Armstrong and Buzz Aldrin landed on the moon, they wore Speedmasters, thus inspiring the birth of the term “moon watch” to refer to the historic milestone the timepiece has achieved at the “Watches for Man on the moon”. As expected, prices skyrocketed from their already expensive price tags. Still, you can get a moon watch from inexpensive alternatives we’ve listed below. Here are the most popular alternative homage watches for the Omega Speedmaster. 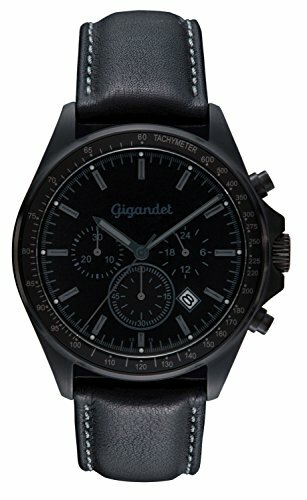 The 43mm from watch from Gigandet offers more than the original Omega Speedmaster by giving you the option to choose among several color variants. 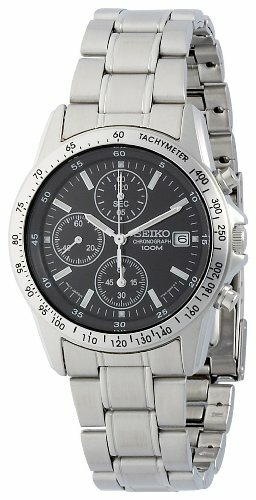 It has a Miyota quartz movement, a scratch-resistant glass window, and stainless steel casing and tachymeter. Aside from the face variants, you can also select from leather, stainless steel, and plastic straps to suit your taste. The 43mm Speedmaster homage from Fossil features a quartz chronograph movement, a 60-second timer, a minute timer, and a 1/10-second timer. It has a lot of similarities with the Omega Speedmaster with its black dial and tachymeter bezel. 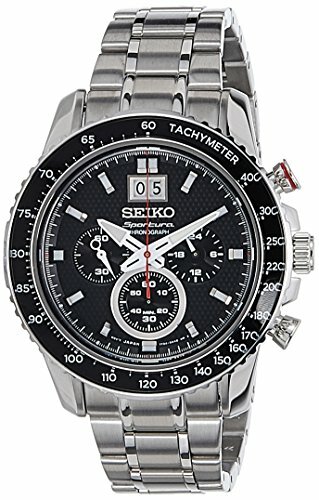 This Speedmaster-inspired watch from Seiko features a black dial with silver markers, a date window, a polished tachymeter bezel, and three chronograph subdials. Its Japanese quartz movement is powered by batteries. 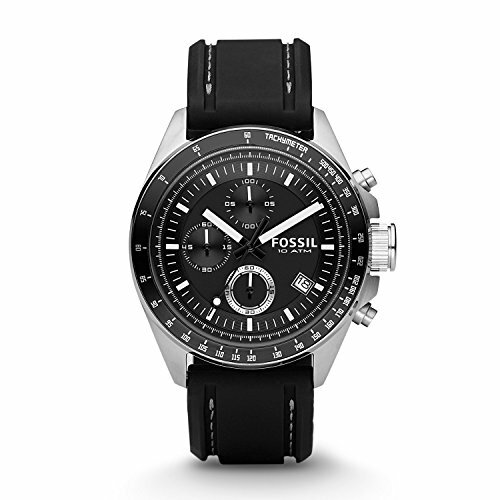 The Fossil Decker is a 44mm watch powered by quartz movement. 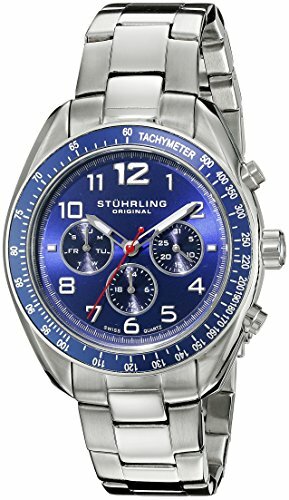 It has three chronograph subdials that include a 1/10-second stopwatch. The bezel is emblazoned with white markers and the dial features luminous hour markers and hands. This 42mm model from Seiko is well-loved for being one of the closest homages to the Omega Speedmaster. The design and placement of the chronograph pushers are identical to that of the Speedmaster. The most notable difference the Seiko SSB097 has from the Speedmaster is its leather band. 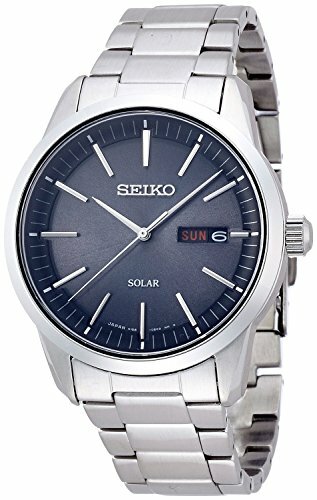 The Seiko SBB031 is a 40mm analog watch with mecha-quartz movement. It is covered in Hardlex glass, has a date calendar, and luminescent hands. It features 3 chronograph subdials with 60-second, 60-minute, and 1/10th-second displays. 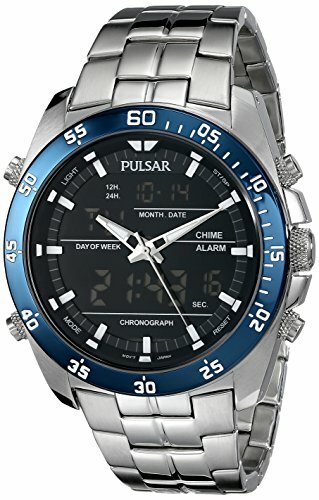 The 44mm watch from Pulsar sports a black dial and a black tachymeter bezel with similar crown pushers as that seen on the Speedmaster. It also has three subdials featuring a 24-hour, a 60-second, and a 60-min chronograph. 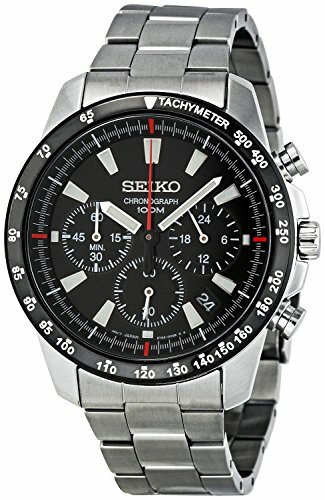 The Seiko SSC229 shows a different homage style from the Speedmaster by replacing the hour index markers with large Hindu-Arabic numerals. Aside from that, almost everything is inspired by the Speedmaster including the tachymeter bezel, crown pushers, and the color of the dial. It also has 3 subdials and runs on Japanese quartz movement. The Alpha Speedmaster is a mechanical chronograph with Seagull SG2903 movement that needs to be manually rewound if you don’t use the watch for more than 40 hours. 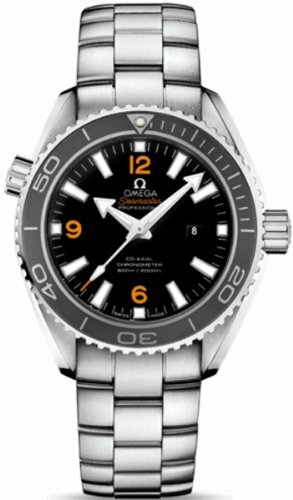 Its crown pushers and the bezel tachymeter looks similar to that of the Omega Speedmaster. This battery-powered Speedmaster alternative is a 45mm watch that features Japanese quartz movement, a chronograph, a 24-hour indicator, and a tachymeter. Its most notable feature is the date window that’s situated on the 12 o’clock position, making it highly visible to the user. 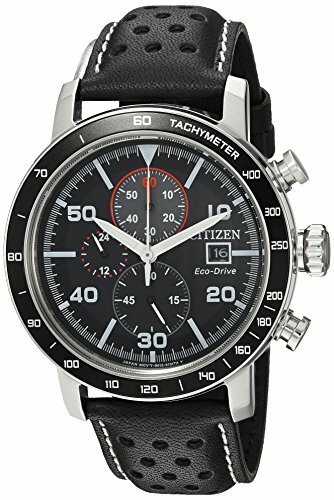 The Bryzen is stylish 44mm timepiece from Citizen that features Japanese quartz movement, a 1/5-second chronograph, and a 12-24-hour time subdial. It has a black dial with luminous hands enclosed in a stainless steel case and designed with an aluminum bezel. The package comes with a breathable black leather strap. 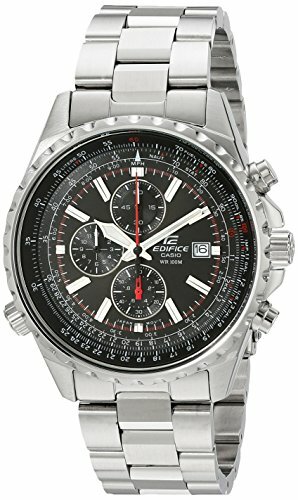 The Edifice EF-547D-1A1VDF model is a 44m watch that features a black dial, three subdials, a tachymeter, date display, and scratch-resistant mineral glass. Its quartz movement is powered by a battery that can last up to 2 years of regular use. This 41mm solar-powered Speemaster homage watch can last up to 6 months of use when fully charged. Its minimalistic design features a tachymeter bezel, a 1-hour chronograph, a date window, and an alarm function. 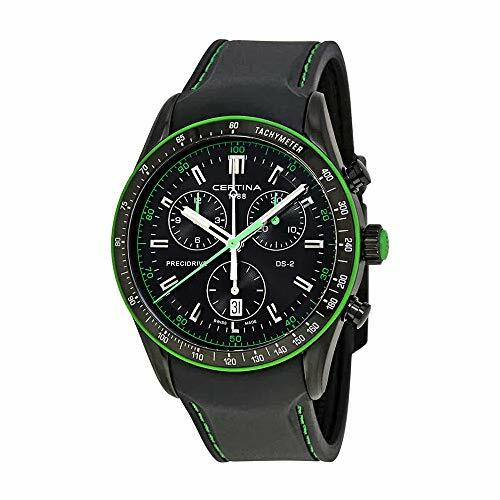 The Octane 814.01 is a 40mm chronograph watch that features Swiss quartz movement. It has a 24-hour subdial, a tachymeter on the bezel, and a Krysterna crystal dial window that’s scratch resistant. The Octane 814.01 doesn’t have a date window but it has subdials that specifically tells the current date and day. 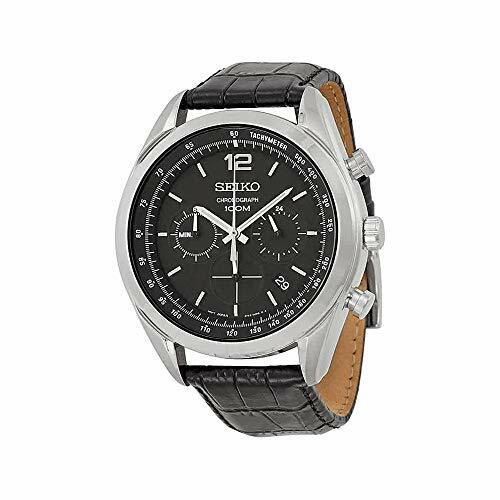 The Brycen CA4358-58E model from Citizen sports a stylish black dial with its cream-colored markers and ion-plated tachymeter bezel. It features a 1/5-second chronograph that measures up to 60 minutes and a 24-hour subdial. 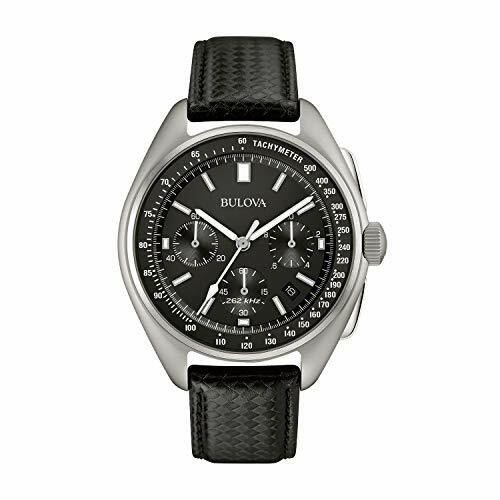 The Bulova Lunar Pilot is a moon watch homage to the original timepiece worn during the 1971 Apollo 15 mission. 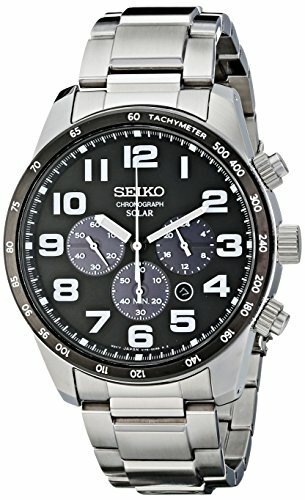 It has an analog quartz movement, anti-reflective sapphire glass window, three subdials, and chronograph functionality. The Certina DS-2 looks like the original Speedmaster with the addition of a chronograph reset button along the 10 o’clock position. 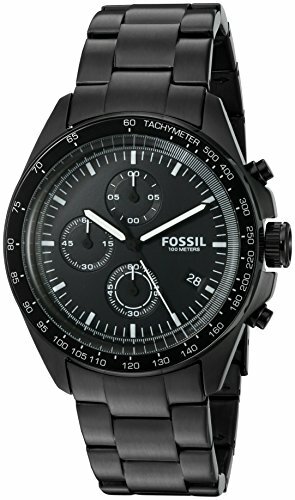 The 43mm timepiece features a 12-hour, 30-min, and 60-sec chronograph functions. The Omega Speedmaster, or “Moonwatch”, is revered for its history, reliability, and sporty look. It is a dream for every collector to own one even for a hefty price. If you want cheaper alternatives that give the same look and feel as that of the Speedmaster, you can’t go wrong with trying one of the homage watches we’ve listed above.